If there is one thing I do not really think much about in my everyday routine, that would be fixing my hair. Nope, my hair is not masunurin at all. Actually, it is borderline buhaghag and magulo all the time. Before, I have no problem in maintaining my tresses because I always have my long hair rebond. After I graduated in lawschool, I stopped going to salons for rebonding. Now, I sometimes feel that my efforts in putting on makeup is not good enough because I still looked stressed. Thanks to my unruly hair. A week ago Sampleroom sent me this gorgeous set for trial and review. 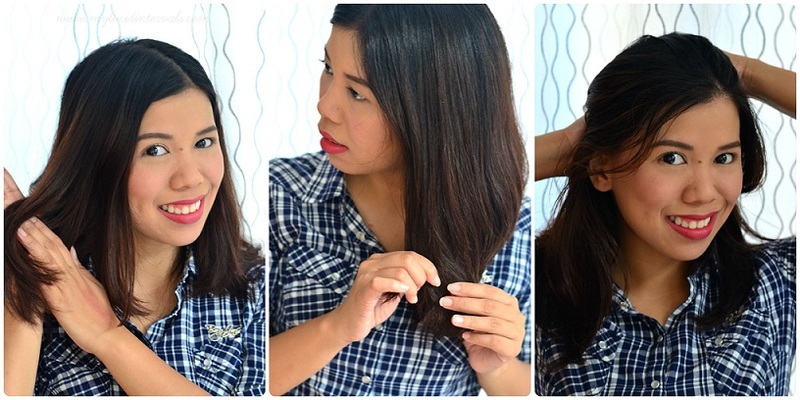 I have blogged about Vitress before but have not shown full post on how I used this product. Vitress Instant Relax Cuticle Coat helps smooth stubborn waves and curls as it activates shine, right when you need it. Vitress also has Hair polishes in a Cream Formula. I have mentioned previously that my favorite is the Heat Protect Cuticle Coat and the Sun Protect Hair Polish (which smells sooo good). In this post, I decided to try the Instant Relax Cuticle Variant and I got amazing results. Compared to the Hair Polish which is housed in a twist cap tube, the Cuticle Coats are in a pump bottle. I love the pump bottles because I can control the amount of product to be dispensed. I usually use one and half pump of cuticle coat. I rub my palm to distribute the product and I start working with the lower half of my hair. Then I further concentrate on the ends. 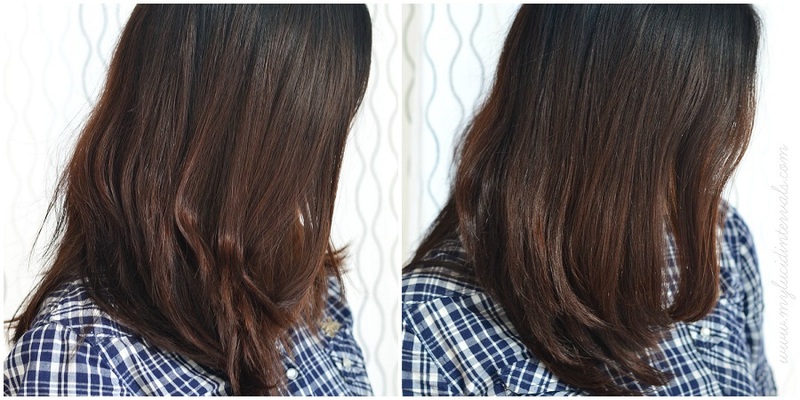 The remaining product (which is very little to none) is applied to the upper portion of my hair. This technique will prevent that greasy look. Here is my amazing before and after!! Grabe!!! Suklay at Vitress lang yan!!!! I prefer using Vitress Cuticle Coat on dry hair while the Hair Polish works best on damp hair. My hair definitely looks healthier and bouncy. The cuticle coat from Vitress did not weigh it down. Bravo. I am finally saying ADIOS to buhaghag hair! Thanks to Vitress. I have found my new hair hero in Vitress Instant Relax. What do you think? i have different variants of vitress. love it! me too, I'm a user of vitress...at ang gamit ko ay Instant Relax ngayon.. I like vitress..! I Love Vitress I've been using it since last year and I love the result bukod sa Nirerepair nya un damage ng hair ko Shiny and Smooth pa sya :) Galing! I was not aware that Vitress has so many hair products! I use the hair polish and it is effective!